/How do I explain evolutionary creationism to my young earth creationist friend? The distinction between macro and micro evolution is not clear. In order to have a debate about macro vs microevolution, one would have to have a clear definition. For example, does the transition from a common ancestor to produce a lion, a cheetah and a house-cat represent micro or macro-evolution? What about the transition from a common ancestor to produce both felines and canines? Is that macro or micro? What about from a common ancestor to all the great apes (including humans) or from a common ancestor to all whales, dolphins, etc.? I have found the distinction between micro and macro evolution to be so arbitrary that I began to feel that these terms are useless and should be dropped. But then I took an evolution course a few years and learned that the experts in the field use the terms micro and macro evolution. If they use these terms, then I feel I should not reject them as outmoded and useless. Let me define micro evolution as a measurable change in genotype produced in a population through mutation over time. If we have this as our definition, then everyone everywhere agrees that macroevolution happens and that it is observable in a scientific laboratory. This leaves us with the difficulty of defining macroevolution. Let me propose an arbitrary solution. I will somewhat arbitrarily call evolution from an ancestor feline to all of today’s feline species microevolution and will call evolution from a common ancestor to both felines and canines macroevolution. This will give a definition which is not super well-defined but useful for discussion. As a rule, young earth creationists all deny macroevolution as defined above and will generally (but not uniformly) accept microevolution as defined above, so now we at least have something to discuss. As a rule, young earth creationists do NOT argue for very rapid evolution. Generally, because they believe that cats evolved from a common ancestor, they will believe that evolution might have happened faster in the past than more recently, otherwise it would be impossible to propose that all cats arose from a common ancestor in the last several thousand years. Now, there is a theory known as punctuated equilibrium. This is a scientific theory that evolution, as a rule, happens in fits and starts–that its course is not steady at all, but that there are long periods of “stasis” punctuated by short periods or surprisingly rapid evolutionary change. This theory, which has gained some but overwhelming acceptance by evolutionists proposes “quick evolution over a short period of time.” Stephen Jay Gould is most well known for this theory. The problem is that Gould believes this “rapid” evolution is happening in hundreds of thousands or even millions of years. The punctuated equilibrium theory is not particularly helpful to resolving the debate between young earth creationists and most scientists. Young earth creationists like to use language from Stephen Jay Gould to defend their explanations, but their conclusions are completely out of sync with anything taught by or proposed by Gould. It comes close to disingenuous for young earth creationists to use Gould as a support for their theories about evolution. Bottom line, if we propose that the earth is only a few thousand years old, then we have to reject the theory of evolution as an explanation of the variety of species on the earth. If we do so, then we must reject at the same time the evidence for common descent and for changes over time in the fossil record as evidence for actual common descent. They must be an illusion for some reason. A young earth does not allow for any of these things to happen. A young earth requires that we conclude that dinosaurs and trilobites simply never lived–that fossils of these creatures were put into the ground when God created the earth. A young earth requires that the similarity in genetics between canines and felines be the result of God using a similar pattern when he separately created the original proto-dog and the original proto-cat. The young earth theory requires us to conclude that the apparent genetic connections between species is an artifact of how they were created, and not the result of change over time. The young earth theory may be a possibility, but it requires us to radically reinterpret the fossil and genetic evidence. My “advice and tips” about debating evolution with young earth creationists is that you not debate these people. They, as a rule, are unaffected by evidence and argue from presupposition rather than inference to the best explanation from the data. It is generally unproductive to argue over evidence with people who are immune to evidence. This is not to impune the character of young earth creationists in general but it is to state the facts as they are. The REAL reasons young earth creationists attack the evidence for evolution is their presupposition that the earth is young. They do not attack the evidence because they have a better scientific theory, but because of their presupposition. With that in place, what you should discuss with your YEC (young earth creationist) friends is the presupposition, not the evidence. That is my advice. You should debate whether Genesis 1 and other passages REQUIRE the young earth interpretation. If you do not have in play the possibility that their particular interpretation might be in error, then they will not give an inch, no matter how much evidence you present, no matter the quality of that evidence and no matter how ad hoc their alternative explanations are. This is my experience. Let me suggest two books on evolution which can be helpful. They are Coming to Peace with Science by Darrel Falk and The Language of God by Francis Collins. They both present unimpeachable evidence that macroevolution has happened, but do so from a Christian perspective. Falk’s book will be a bit more helpful in strategizing discussions with YECs, while Collins’ book is a bit stronger on presenting the case for common descent. Both are excellent. I also have notes and power point on evolution at the web site. http://www.evidenceforchristianity.org/power-point-four-christian-views-of-evolution/ and I am copying and pasting an article on the topic below. At the end of this description and analysis of the four views, I will append a short explanation of why I prefer the Progressive Creation/Theistic view of Evolution. One of the biggest problems we had in putting together this event is that, although one can make useful distinctions and characterizations, there is no clean, clear-cut division between these and other Christian views of evolution. Our speakers, including myself, resisted being cast into the mold of a particular view. Even the names for the categories generated some disagreement. At the forum our four speakers did not precisely line themselves up with the four views I am outlining below! Before entering into a tentative description of the four categories of thought on evolution represented by our forum, let me begin with the qualifier in the title. This forum is about four Christian views of evolution. We are assuming that a Bible-believing follower of Jesus who accepts as an historical fact the resurrection of Jesus can fall into any of these four categories. Without question, all four of our speakers accept theism—that God takes an active role in his creation. The speakers all believe that Jesus Christ died on the cross as a sacrifice which, for those who put their faith in Him, can bring about forgiveness of sins. We considered including a deist in the forum. The deist believes in God. He or she sees design in nature and acknowledges that there is a Creator, but believes that God does not actively intervene in his creation. Deists generally reject belief in supernatural intervention in the world. This being so, deists do not believe in the bodily resurrection of Jesus Christ and have a very limited view of biblical inspiration. By biblical definition, then, they are not Christians. Because we wanted to ask believers to consider uniquely Christian views of evolution, we decided to exclude deistic evolution from the discussion. I will begin with a very brief but general description of the four Christian views of evolution. After this, I will list some of the strengths and weaknesses of each of the four views. Let me acknowledge that, as one of the four presenters in the evolution forum, I have a definite view about which of the four views is preferable. I do not pretend to be unbiased and am sure my inclination will show up in the descriptions below, but it is my intention here to give a relatively unbiased description of the four Christian views of evolution and leave my opinion for the last section of this essay. The young earth creationist (YEC) view begins with the assumption that the days of creation in Genesis chapter one are literally twenty-four hour periods over which God did his work of creation. The proponent of this view in our forum is Dr. Kevin Anderson. Young earth believers accept the “traditional” interpretation of Genesis, with all its implications—be they in the area of cosmology, creation of organic life, creation of species and theology. The young earth view generally (though not always!) has been associated with a Calvinist view of the fall of humanity. They tend to believe that before Adam and Eve fell, there was no animal death. The fall of Adam and Eve brought in physical death for humans and caused corruption of the physical world. Their fall was an “Original Sin” of which all human beings afterward are held guilty. If we accept YEC, then evolution—at least as conceived by Charles Darwin in his seminal work Origin of Species—quite literally has not happened. So-called microevolution of course is possible, but even this is strictly limited. Different dogs may represent descendents from an original dog created by God several thousands of years ago, but even a fairly modest macroevolution is completely eliminated from consideration. Several thousands of years is simply not enough time for random mutation, genetic drift and natural selection to produce new species from the originally created species. Bottom line, YEC believes in fixed species and completely rejects the theory of organic evolution commonly known as Darwinism or neo-Darwinism. Those who take this view believe quite literally that on the third through sixth twenty-four hours of God’s creative work, all species which have ever lived were created ex-nihilo (ie. out of nothing) in a form virtually the same as can be seen today. This being true, the YEC view has trilobytes, dinosaurs and other now-extinct species which can be observed in the fossil record as having lived just a few thousand years ago. Indeed, they lived right alongside modern human beings. Perhaps these species went extinct as a result of the flood or perhaps for other reasons. Either way, YEC does not reject the idea of species extinction, but it does reject the creation of new species over great periods of geologic time. To summarize, the YEC position is that the entire content of the first several chapters of Genesis are literal accounts of what actually happened, both in the order of what happened and even in the amount of time the writer or writers of Genesis seem to imply. The title for our second view of evolution is really quite unfortunate. The fact is that all four of our presenters at the forum as well as all four views of evolution described here agree with the idea of intelligent design. All Christians together accept that the universe was created with overwhelming evidence for an inconceivably intelligent designer. The YEC and the evolutionary creationist (EC) together agree with the psalmist that “Heaven and earth declare the glory of God,” even if their view of general revelation is significantly different. Having said this, one of the views of biblical cosmology, geology and evolution has in the public media been given the label “Intelligent Design.” In fact, the one who is taking this view at our forum, John Clayton, is not particularly enamored with this label, but we are more or less stuck with it. So, how can we characterize the view of what has become known as the Intelligent Design movement? Advocates from within the Intelligent Design movement accept the scientifically supported claim that the earth is about 4.5 billion years old. They also generally accept the scientific consensus that the universe is about 13.5 billion years old. Advocates of this view do not believe that the “days” of creation are literal twenty-four hour periods. Some take the literary view of Genesis, rejecting the chronology of the events in Genesis chapter one, but most ID’ers take the day/age view and accept that the chronology of the creation account of Genesis, although representing vast ages, is more or less correct. It seems that the thing which unites those in the ID camp is that they are quite skeptical of organic evolution in the broadest sense and reject a strict interpretation of common descent. They are “interventionists.” In other words, as a rule, the intelligent design view is that God intervened miraculously to create organic life in the first place and that he also intervened at various times in the distant and even the more recent past to create the various “kinds” of life. This supernatural intervention includes the special creation ex nihilo of human beings. There will not be a strict agreement amongst intelligent design advocates as to how broad or narrow these created kinds are. Generally, they reject macroevolution but accept microevolution, but how great an amount of change might have occurred by natural, undirected processes will vary greatly in this school. At the risk of over-simplifying, the intelligent design view is strongly associated with the concept of “irreducible complexity.” They have attempted to prove that one can scientifically demonstrate that some changes which are required by random Darwinist evolution simply could not have happened by any believable series of fully random events. Such irreducible complexity as a scientific and mathematical theory proves that naturalistic evolution is an incorrect view according to the ID position. There are “gaps” which natural processes simply cannot fill. The ID movement does not reject evolution entirely. In fact, they generally support the teaching of evolutionary theory in classrooms, but advocate the inclusion of evidence for supernatural intervention in origin of species as well. To summarize, the intelligent design position accepts the geological and cosmological implication of an ancient earth and universe, and therefore reject the literal interpretation of the days of Genesis one, they reject using the evidence for common descent as proof that God did not create various “kinds” of life and instead claim that science requires accepting that there are gaps which require supernatural intervention. In the interest of “truth in advertising,” let me say that the view we are labeling Progressive Creation is the one I took in our upcoming forum. Let me also say that I really do not like this label. One reason for this is that the ID view can be described as progressive creation. I prefer the label theistic evolution for the third of our views of evolution, but my colleagues in the forum do not necessarily agree with my taking that label for the simple reason that all of us are theists and all of us are describing a view of evolution which can be seen as theistic (although I will argue below that EC has some deistic aspects in its view of evolution). Putting aside for now concern over the label, let me describe our third view of evolution. I, and those who happen to agree with me and are willing to be called progressive creationists, accept that the earth is quite old (approximately 4.5 billion years, as claimed by scientists) and that the universe is also very old (about 13.5 billion years). Like those in the Intelligent Design camp, PC’ers (whether they are politically correct or not) believe the “days” of Genesis chapter one are not literal. Those in this camp may lean toward a more literary view of the Genesis creation account , or may take the view of scientific concordism, that there is at least a general scientific truth in the chronology, if not the time span, in Genesis. The main distinction between this view and Intelligent Design (at least as defined above), is that it accepts the main implications of evolution. It sees common descent as a scientifically verified hypothesis. The Progressive Creationist is skeptical of scientific “gap arguments,” claiming that such arguments are weak and that historically they have not held up well to scrutiny. What distinguishes this view from Evolutionary Creationism, is that it rejects for theological reasons the conclusion that evolution is a fully random process—completely devoid of the interventionary influence of God. The PC argument is that God is not distant, but that he is involved in his creation. There is a kind of free will in history, in our personal lives and in the way nature works, but God does, at various times and for reasons of his own intervene in our personal lives—to answer prayers, for example. God does not jerk us around and constantly interfere with our freedom by working miracles, but he definitely is involved. The same is true in history. God allows for a general free will in history, but God has intervened in subtle ways and even in dramatic ways. For example he influences the hearts of world leaders such as Cyrus and Nebuchadnezzar and he also intervened to bring Israel out of Egypt and to send his Son into the world. If it is established that for us as individuals and for nations as well that God gives a general free will, but that he does influence and even dramatically intervene for reasons of his sovereign will, then the PC perspective is that almost certainly this is what God has done with nature. Nature, by it fully random self, would NOT have produced intelligent, soul-containing creatures able to know God. The Progressive Creationist does not have a problem with the scientific evidence for common descent. He or she is even prepared to accept the possibility that all life has a single progenitor, although the possibility of multiple creations is not completely ruled out. The main point to be understood here is that the “evidence” for theistic interference is not scientific. Rather it is a theological argument. This position rejects the God-of-no-Gaps position of Evolutionary Creationism, but accept as more or less established the common descent of all or of nearly all life. The fourth Christian view of evolution which will be defended in our forum is known by some as Evolutionary Creationism. In our forum, this view is represented ably by Denis Lamoureux. Perhaps the most well-known advocate of this view is Francis Collins, former head of the Genome Project and now head of the National Institutes of Health. The evolutionary creationist accepts the common scientific view of the age of the earth and of the universe. He or she goes still farther and accepts the rather strong evidence for common descent as sufficient to conclude that the natural processes of random mutation, genetic drift, natural selection and so forth, as described in neo-Darwinian theory, is sufficient to explain the evolution of all species, including human beings from the simplest early life form or forms. God is sufficiently wise to have created physical circumstances which inevitably led, through thoroughly random, natural processes, to the final result, which is the existence of intelligent, sentient beings, capable of having a relationship with God. The Evolutionary Creationist typically is prepared to accept that even our consciousness and our ability to have a relationship with God has “evolved.” He or she believes that if God had to intervene in the process he had established, this would somehow lessen God, as he would have to have multiple “fixes” to the process he created. This position, as I described above, is a God-of-no-gaps theology. All EC supporters I know of believe that life itself was created by God only indirectly. In other words, he created a universe and a world in which life was spontaneously created. This ties in to the tendency of EC supporters to reject supernatural intervention by God into nature in general. It is essentially a deistic view, not of theology, but of the workings of nature. As for Genesis chapter one, those who accept EC will be nearly unanimous in rejecting scientific concordism (the idea that there is real scientific information in the Genesis story, even if in metaphorical form). Instead, they will take the literary interpretation of the Genesis creation account. In other words, they accept the theology of the first several chapters of Genesis, but not the history of this material. God was accommodating the knowledge base of ancient Hebrews and giving them theological information about Him as creator, as one who wants a relationship with us and so forth. It will probably be fair to generalize the EC position to say that it rejects the idea of a “fall” of man occurring in the Garden of Eden. In fact, as a group most evolutionary creationists say that there was no Garden of Eden at all, but that this story represents the fall of all of us from the innocence with which we were created, and our separation from God due to our own, individual sin. Therefore, this view, in accepting that God’s “finger” is not moving the process of change over time, also rejects the Calvinistic idea of the fall of man and original sin. Strengths and Weaknesses of the Four Christian Views of Evolution. The YEC position is strong in that it gives great honor to the Bible and places the idea of verbal inspiration on a high pedestal. The other three perspectives will of course reject this conclusion, but the young earth position clearly represents the most natural interpretation of the literal sense of Genesis chapter one. 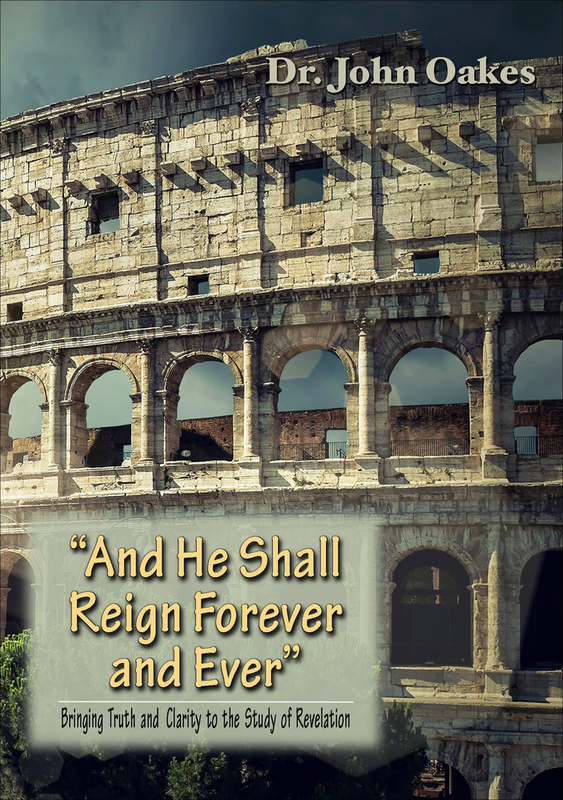 As a rule, the young earth Christian believes that biblical authority trumps general revelation. If science seems to point one way, but the Bible another, the Bible wins; period. Of course, one can see this as either a strength or a weakness. One could use as support for this line of thinking the fact that all Christians believe in the bodily resurrection of Jesus from the dead and clearly this cannot be reconciled with a purely scientific mode of explanation. The weakness of the young earth position is that it requires rejecting general revelation almost entirely. General revelation is the idea that God reveals himself, at least to a limited extent, through what he has created. The reason this creates a problem for the YEC position is that they reject the implications of cosmology, geology and biology. Despite the evidence from the red shift, cosmic background radiation and so forth, the YEC believer must reject big bang cosmology. In doing so, they reject the entire science of cosmology. Similarly, the YEC position requires that we reject the evidence of radioisotopic dating techniques, sedimentary layers, the evidence for plate tectonics and so forth. Basically, the young earth position must reject the two main paradigms of geology—uniformitarianism and plate tectonics—as an illusion. So YEC rejects scientific cosmology and geology, but they must reject a great chunk of biological theory as well, as nearly everything we think we know about how living things work is reliant on an evolutionary perspective. If we reject cosmology, geology and major parts of biology, then how is it that nature declares the glory of God? 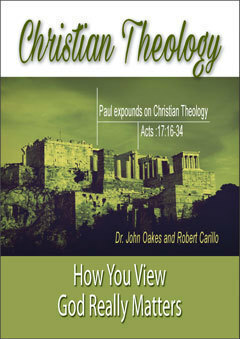 It is this author’s contention that the YEC view can only really work if it is taken as a purely theological position. What I mean is that it is nearly inescapable that the universe and the earth appear to be quite old based on the evidence and scientific analysis. To reject this is to refuse to look at the scientific evidence. Galileo once told his opponents that if they wanted to reject heliocentrism, they were going to have to stop looking through telescopes. The same applies to the young earth position, unless one proposes that God created the earth, as is, several thousand years ago, but he created it with an “appearance of age.” The reason the YEC group rejects this the appearance of age argument is because it puts them in an uncomfortable position of believing that God somehow tricked us when he put those dinosaur fossils in the ground and put the light in transit from distant galaxies, even though the light would not have had sufficient time to reach earth if they have only existed a few thousand years. A possible response to this is, who are we to tell God what to do? When Jesus created fish, it was ready to eat. Was he deceiving the people? No, he was doing what God has every right and power to do. In summary, the theology of the YEC position and the great honor it gives to the sovereignty of God and the inspiration of his words is a strength, but the “science” of the YEC position is extremely weak. They must reject cosmology, geology and much of biology as an illusion. It is this author’s opinion that the young earth believers would do themselves a favor if they defended their faith in the young earth only on theological rather than scientific grounds. Among the strengths of the intelligent design position is that it has a very high view of the verbal inspiration of the Bible. Although some ID supporters are prepared to question some of the chronology of the Genesis creation account, they generally accept scientific concordism and agree with Jesus and the other Bible writers that there is historical truth in the first several chapters of Genesis. The ID believer accepts fully the scientific implications of cosmology and of geology. They have a strong and defendable position on the physical world as general revelation of God’s divine nature. The intelligent design supporters as a whole are prepared to accept most of the implications of what we know from fossil and DNA evidence with respect to the relationship between large classes of species. Of course, one can see it as a strength or as a weakness, but the ID camp in general rejects the full implications of neo-Darwinism. They see huge chasms or gaps in the evidence with regard to evolution which random processes simply could not cross. Whatever one thinks, we can concede that gap arguments are difficult to prove. For this reason, even if the ID position is correct (and personally, I am quite prepared to accept that they may be) it is open to legitimate complaint from scientists. Bottom line, supernatural intervention into what we know already on some level is a natural process is difficult or perhaps even impossible to prove using science. Miraculous intervention is, by definition, not a “scientific” event and it certainly is not capable of being reproduced in the laboratory. Of course, this does not prove that the gaps are not there, and it does not prove that God did not create particular species at various points in time or that he did not zap into existence various complex biochemical systems, but it is hard to defend this in a scientific setting. So the weakness of ID is not in its theology. Its theology is quite strong. 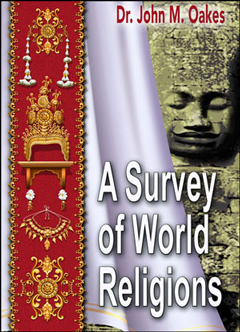 It allows for theism in our individual lives, in history and in the physical world. Its weakness, such as it is, is in its science. It accepts cosmology and geology but it does not fully accept biology. At least that is how some will view the matter. Its scientific arguments will quite likely remain weak. In fact, just in the last ten to fifteen years, a number of ID supporters have had to change some of their claims of certain gaps in the formation of complex enzyme machinery because experimental evidence showed that the supposed “gap” was fully bridgeable by natural events. Speaking for myself, I happen to agree with the idea of supernatural intervention by God in the process which led to higher forms of life, but I prefer not to rely on gap arguments and to let my theism with respect to evolution remain a theological claim. Yes, of course I am going to critique this view! It certainly has weak points. The strengths of the PC position is that it, like ID and YEC agrees with the verbal inspiration of the Bible. It is consistent in that it accepts a theistic view of how God interacts with individuals, with history and with nature. It has a consistent view with regard to how God interacts with people, with peoples and with creation. Here it agrees with ID and YEC. It is also consistent in accepting more or less fully the scientific conclusions of cosmology, geology and biology. The virtually “slam dunk” evidence for common descent is seen, not as an illusion but as a reflection that in fact, life has evolved through largely random processes, except with the “finger” of God determining the path of change. It does not rely on scientific “gap” arguments. Instead it replaces a scientific argument against random design with a theological one, so will not have to back down when claimed gaps are filled in by science. So the strength of PC is its consistent view of theology and science, but its weakness is that it is vague and really hard to tie down scientifically. It will probably be seen as quite convenient to claim that God has intervened in the natural process by which life changes, but to create a position which does not have to defend this view scientifically. To quote from a personal comment from my EC friend Dr Denis Lamoureux, “I certainly cannot teach that in my science classroom.” Good point. This view sounds like an attempt to make everybody happy, but sometimes when we try to make everyone happy, we make no one happy. This view is a bit complicated. It has a lot of nuance, allowing for both free will in nature in almost all cases, but holding out for undefined (and therefore hard to disprove) theistic interventions, whereas EC and YEC (and perhaps, but to a lesser extent ID) are simpler and easier to defend logically. My personal response to the claim that this view is a bit too complicated and that it is a bit fishy because it is hard to tie down is that I believe God is simple yet in some ways he is complicated. He can at the same time foreknow yet not predetermine. He can perfectly balance love and justice. Jesus is with God and he IS God. That is a tough one to logically explain. I also believe that God can wonderfully balance his sovereign will and our freedom to choose, and that he does so in the way he interacts with his creation. The strengths of evolutionary creationism are the consistent way it deals with scripture and with the evidence of science. EC’s view of God’s omniscience and omnipotence is very strong. Supporters of this view see God as so powerful that at the moment he created the universe, a series of events was set into place which would inevitably lead to the formation of galaxies, stars, planets, including one with an atmosphere and the conditions for primitive life to form spontaneously, and even eventually would lead to us. This is not some sort of weak God who has to correct the path of his creation. What an awesome God this is! To top it off, the Evolutionary Creationist position can, in principle, bring to an end the incessant arguments and even attacks from those scientists who for philosophical reasons oppose even theological arguments for supernatural interventions in the physical world. Even if, in the end, it turns out that God does indeed intervene in nature, it sure would be nice to end the fruitless angry debate between atheists and scientific materialists. Evolutionary Creationism is in full concord with cosmology, geology and biology. Evolutionary Creationism, despite complaints and even accusations which might come from the YEC supporters, fully accepts the theological implications of the Genesis creation account. God created us. We rebelled against God. Sin brought in separation and Jesus brought redemption. Of course, all four views agree on this. The weakness or the EC position is that its theology can be seen as problematic. It has God relating to us as individuals in a way which includes free will, but also has God intervening by answering our prayer and influencing us. 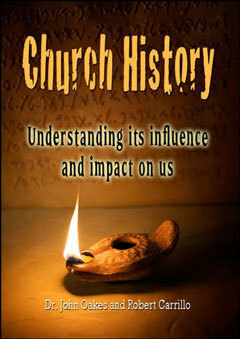 Similarly the EC believer accepts that God has intervened in history. He allows for freedom of action by peoples, yet acknowledges that God has intervened in history in quite dramatic ways at various times. So, God intervenes with us as individuals and he directs the course of history, yet, the EC position rules out a priori God intervening in “natural” physical processes—in the path by which humans came to be. God-of-no-gaps is a theological position, not just a scientific one and in this we see what might be thought of as an inconsistency. Does this mean that the EC position is wrong? No. But it can be seen as a weakness. Another weakness of this position, at least as some might see it, is that most EC Christians reject entirely the historical content of the first few chapters of Genesis. If they are right, then Adam and Eve literally never existed as actual persons. Our God-likeness evolved and was not imparted miraculously. Not all EC supporters take this view, but most do. Probably Noah did not exist either. Opponents of this view will point out that it certainly seems that Jesus, Peter and Paul believed in the historical reality of the events in Genesis. Were they wrong? Or perhaps Jesus and Paul were accommodating themselves to the common view of the day in order to get across theological truths. The thought of Jesus accommodating to the common view of his day is certainly unfamiliar to most Christians, but that does not mean, by definition that it is an incorrect view. In any case, some will see this as a weakness of the Evolutionary Creationist perspective. Of the four views of evolution described above, the one which I believe agrees most faithfully with science, Christian theology and which at the same time strongly supports the inspiration of the scripture is the view I like to call Theistic Evolution. No one who takes science seriously can support the young earth position, except as a purely theological proposition. Even as a theological proposition, it seems to have God putting fossils of creatures which never existed in the ground, having light coming from stars which were not even there at the apparent time the light would have left the star, leaving evidence for a big bang which never happened and so forth. My skepticism of this view was certainly not changed by the debate. Dr. Anderson’s strongest “evidence” for a young earth was extremely low C-14 isotope levels which are found even in very old coal deposits. The problem is that scientists are fully aware this low C-14 level is created by background radiation under the ground. This only works as evidence of the young earth to people who are not aware of the science. Such contrived evidence, which is in fact literally not evidence for the young earth at all, proves how desperate most scientific young earth supporters are. I have no problem with the theology of Intelligent Design position. I certainly have no problem with John Clayton, who somewhat reluctantly defended this view in our forum. The theology of Intelligent Design is the same as that of Theistic Evolution, the best I can tell. It is the “science” of ID that I am hesitant about. I am suspicious of their scientific arguments for irreducible complexity because, the best I can tell, this is not a scientific theory. The problem with ID movement is that they try to pass off theologically-inspired gap arguments as scientific. The history of gap arguments for evolution is not good. Such gaps tend to disappear with time. I fully agree with the anthropic principle—that the nature of the physical universe is fantastic evidence for design—but the anthropic principle is not science. We cannot do an experiment, either to test or to disprove design. The leaders in the ID movement tend to be unnecessarily skeptical of what appears to be very strong evidence for common descent. It seems that this skepticism is based, not on the data, but on a theological presupposition. There is nothing at all wrong with carrying theological presuppositions. I do so myself, but such things are not helpful in forming and arguing about scientific theories. ID scientists make the scientific community nervous about their religious presuppositions, at least in part because they tend to not acknowledge these presuppositions. Bottom line, I, as all Christians, believe that there is an intelligent designer, but I do not believe design is a testable scientific theory. I do not have a problem with the science of the evolutionary creationism position. What I am hesitant about is the presuppositions I believe those who hold this position tend to make, at least from my perspective. EC supporters tend to take as a presupposition that God does not intervene in his physical creation. I call this a God-of-no-gaps position. Where did this presupposition come from? What is the motivation for assuming that God does not intervene in his physical creation? In fact, as Christians we know that God has intervened in his physical creation on at least a few occasions. The resurrection of Jesus from the dead is a clear miraculous intervention. The creation of the universe in the first place involves deity “intervening” to get the whole thing started. Jesus walking on water or making wine from water and healing the man born blind are interventions. Why should we presume that God has never influenced, either in a subtle or in a dramatic way, the path by which life has changed over time? Science simply cannot answer this question and to concede to materialism as a presupposition that all of physical history can be explained without any intervention of God is not necessary. In fact, I believe it is a mistake. EC supporters argue that a God who can set the process in motion to inevitably create man by fully random processes is a more powerful God than one who has to constantly tweak evolution. I suppose I can buy that this is a logical argument, but God is not constrained by our human logic. The question is what does the evidence say? From theological and biblical evidence we have strong reason to believe that God does not leave his physical creation on its own. It is fully consistent with how God involves himself with history and with our individual lives to propose that God has intervened in and has affected the way in which life has evolved. This is not to dishonor God. It is to describe what we already know of him and apply it to the physical world in a consistent way. Another problem with the EC view is that it unnecessarily removes all historical content from the first few chapters of Genesis. Of course, I can acknowledge that the “days” of creation are metaphorical. I am even prepared to accept the literary view of Genesis chapter one, although I prefer to hold out for some level of scientific concordism in this amazing story. However, to say that there was literally no Adam or Eve—that God did not intervene in a special creation to make us in his own image is to go too far, in my opinion. The deistic random designer assumption about evolution of homo divinus—man in the image of God is not justified either biblically or scientifically. A soul and a spirit are not something which is created by evolution. They are a special creation. That consciousness, soul and spirit can “evolve” is an assumption, and one which I am not prepared to make. It is not that theistic evolution has no problems. My view is that God has directed the path by which species evolved. Scientifically, this is an irrefutable hypothesis. By definition, an irrefutable hypothesis is not scientific, but remember, as described above, I make this as a theological hypothesis, not a scientific one. There is suggestive evidence from the Cambrian explosion and from the seemingly statistical improbability of fully random processes explaining the data, but none of this is conclusive. Despite this weakness, theistic evolution, as described above is fully consistent with all the science we know and it wonderfully matches Christian theology and is consistent with the nature of God, as described in the Bible. This is why I prefer this view over the others. Isn't the evidence from the geology of the Hawaiians Islands proof that the young earth view is wrong? Did God create false evidence to give them over to their unbelief? How do I distinguish for my hearers between perfection and perfectionism? How can you expect anyone to believe the Bible is inerrant given the story of the flood?